« WWII – The Nazis. A Backwards Journey into the Holocaust. 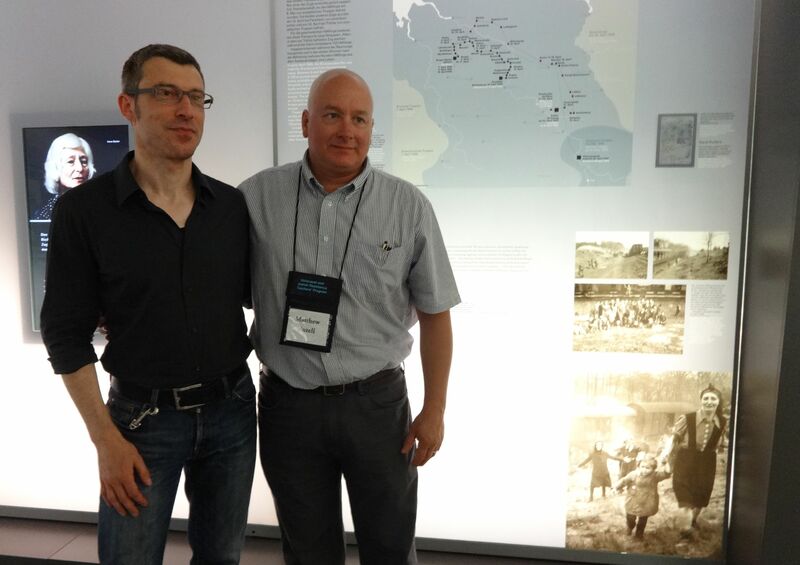 Matthew Rozell, a history teacher at Hudson Falls High School whose project has reunited hundreds of Holocaust survivors with the American soldiers who liberated them, will speak at a gathering of the NYS Archeological Association, Adirondack Chapter, on Friday evening, October 18, 2013. Bernd Horstmann, Custodian of the Book of Names, Matthew Rozell, History Teacher, July 5, 2013. Bergen Belsen, Evacuation transports exhibit, based in part on Rozell’s work. Mr. Rozell has been recognized as ABC World News Person of the Week, the Organization of American Historians Tachau Teacher of the Year, and the NYS DAR American History Teacher of the Year. He is also the recipient of the Washington County Historical Society Cronkite Award, the Glen at Hiland Meadows President’s Award, and most recently, the NSDAR Medal of Education Award and the SUNY Geneseo Alumni Association Educator of the Year Award for 2013. Rozell will take his listeners on a lecture and photo tour to the authentic sites of the Holocaust, retracing the path of the survivors who are now his friends, beginning with their liberation and traveling backwards in time. His three week odyssey was made with 23 other educators this past summer and was funded by the Holocaust and Jewish Resistance Teachers’ Program, the 30th Infantry Division Veterans of World War II, Holocaust survivors, and many other supporters and friends. Rozell is having an article published in a prominent Holocaust education journal this spring. The program begins promptly at 7:30pm at the Rogers Island Visitors Center, 11 Rogers Island Drive, Fort Edward New York, and is free to the public. Belzec, Poland. 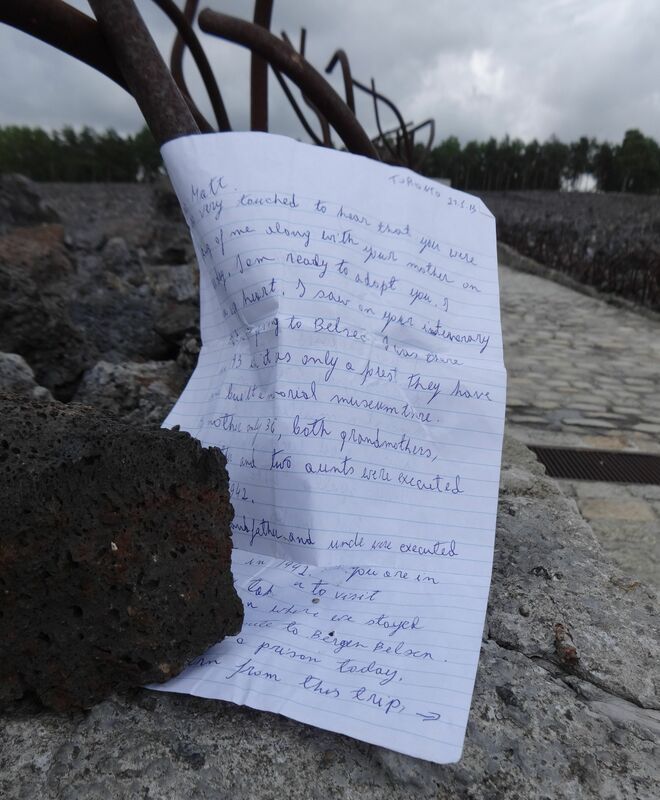 Letter from a survivor to me, the site where she lost her mother. Nearly 70 years later I would have the honor of introducing her to her own liberators.